Xiaomi has finally announced its latest flagship devices at the company's annual event. The devices which are in line with the company's 8th years anniversary consists of the Mi 8, Mi 8 SE and the MI 8 special edition. 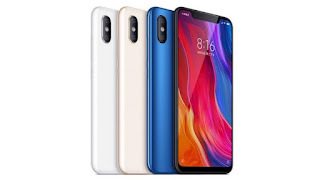 As far as design and looks go, the Xiaomi Mi 8 looks very much like the Apple iPhone X with a similar vertically aligned dual rear camera setup as well as a display notch which houses the phone's earphone, front facing camera and sensors. The device sports a 6.21" Amoled FHD+ display with a resolution of 1080 X 2224 pixels, 88.5% screen to body ratio and always on display. The Mi 8 is powered by Qualcomm's Snapdragon 845 chipset coupled with a 6GB of RAM and either 64GB, 128GB or 256GB Internal storage option. In terms of camera, the device sports a dual rear camera setup with both having 12mp lens, 1.4um pixels and 4-axis OIS. The front on the other hand is equipped with a 20MP front camera with 1.8um pixels and AI selfies and various beauty modes. As far as the pricing goes, The 64GB version costs CNY2,699 (~$421), the 128GB will sell for CNY2,999 (~$468), while the top 256GB one will be up for grabs for CNY3,299 (~$515). 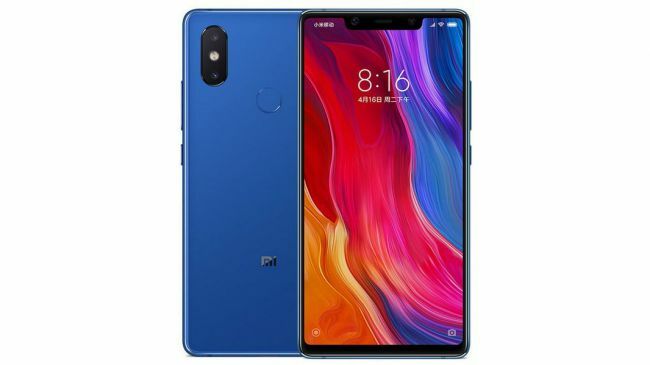 The Xiaomi Mi 8 SE is a cheaper version of the Mi 8 and also the first smartphone powered by Qualcomm's newest Snapdragon 710 midrange chipset coupled with a Adreno 616 GPU. It features a 5.88-inch full HD+ Super AMOLED display with a notch, a resolution of 2248 x 1080 pixels and an aspect ratio of 18.7:9. The device comes in two different memory variants which are the 6GB RAM and 64GB storage or the 6GB RAM version with 128GB storage. It also runs in MIUI 9 out of the box which is based on Android 8.1 Oreo. 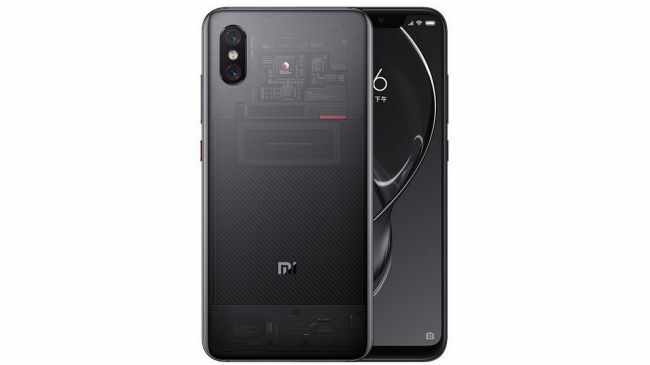 In terms of camera, the Xiaomi Mi 8 SE sports a dual rear camera setup with 12MP primary camera with f/1.9 aperture along with a 5MP secondary camera with f/2.0 aperture. On the front, the device sports a 20MP selfie camera with AI portrait support. The Mi 8 SE will go on sale in China next month at a starting price of ¥1,799 ($280). The Explorer Edition of the Mi 8 is the premium version of the Mi 8 series. The main highlights of this device are the transparent back which gives you a glimpse of the phone's panel as well as the In-display fingerprint sensor. 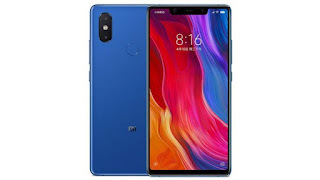 The Mi 8 and the Mi 8 Explorer Edition uses the same display panel which is a 6.21-inch full HD+ Super AMOLED display with an aspect ratio of 18.7:9 and a resolution of 2248 x 1080 pixels. The device is also powered by Qualcomm's Snapdragon 845 chipset coupled with Adreno 630 GPU. The Mi 8 Explorer Edition has an 8GB RAM and a 256GB internal storage. 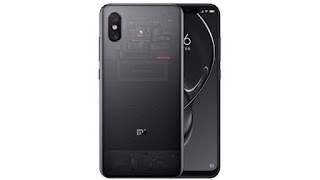 The device features a dual rear camera setup with 12MP primary sensor with f/1.8 aperture, 1.4µm pixel size, 26mm wide-angle lens, 4-axis OIS, Optical zoom and a secondary 12MP camera with f/2.4 aperture, 2X zoom and 1.0µm pixel size. It also has a 20MP front facing camera with AI portrait support. As far as pricing goes, the The Mi 8 Explorer Edition is priced at CNY 3,699 which is approximately $577 USD. The device will go on sale in China on the 5th of June.